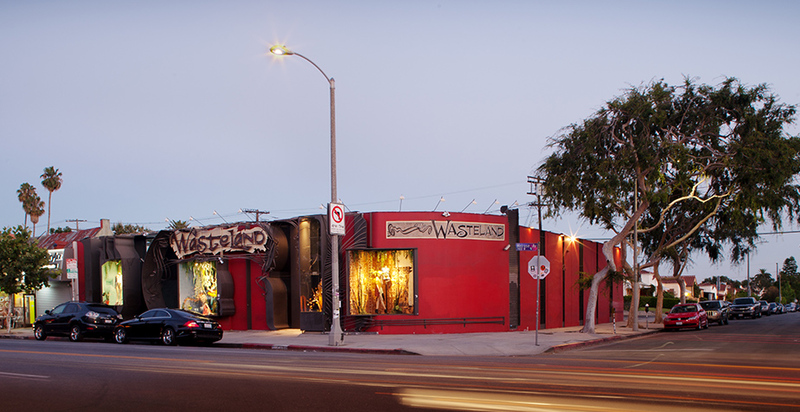 Undoubtedly fashion's treasure chest, Wasteland is the mecca of designer consignment and EASILY one of our favorite boutiques off Melrose. The boutique sells lightly-worn womenswear, menswear, shoes and accessories. Their unbelievably low prices and meticulously curated selection of designer pieces from brands like Dior, Saint Laurent, Rag and Bone, Marc Jacobs, Dolce & Gabbana, Chanel and more, make the boutique chain one of California's hidden gems. They also sell a few independent / emerging designers just to keep things fresh for their clientele. With four stores in Southern California (San Francisco, Los Angeles, Santa Monica and Studio City), Wasteland is fancied by fashion connoisseurs, industry tastemakers and celebrities all over the world. "Almost every designer from Marc Jacobs to Vivienne Westwood to Miuccia Prada has come through Wasteland’s doors seeking inspiration. Those who shape the industry itself have combed through our racks." according to Wasteland's creative team. Have a bunch of designer pieces collecting dust? You can sell them to Wasteland for cash or store credit if they fit the bill. Your favorite celebs do it all the time! Selling, buying or looking, Wasteland is definitely one place you have to check out while in California! Be sure to stop by one of their boutiques and tell them Fluff sent you.